Details arrived from the British Trust for Ornithology (BTO) of a couple of birds handled at our farmland ringing site at Out Rawcliffe - a Chaffinch and a Lesser Redpoll. 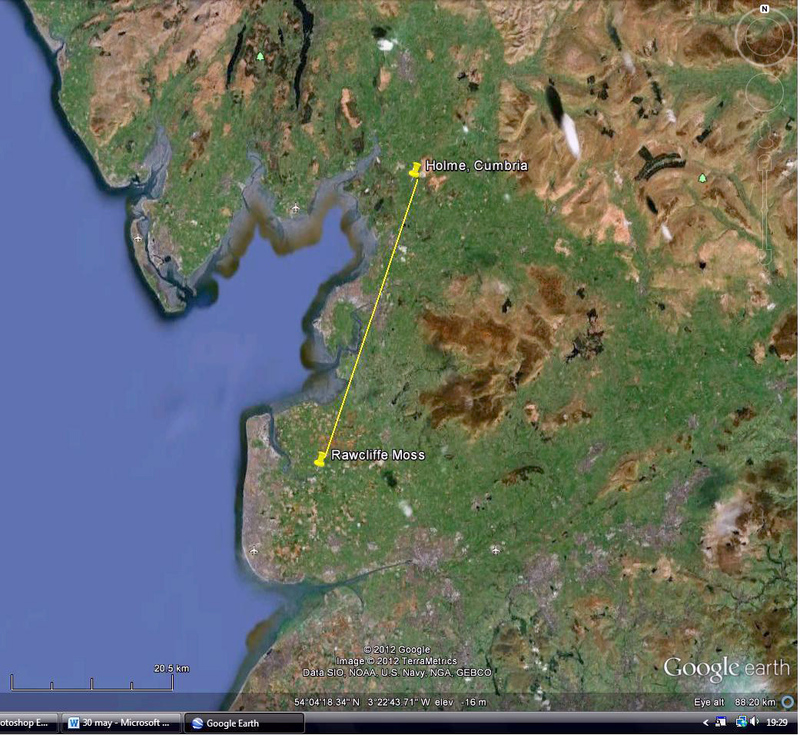 A third record was of a Reed Bunting handled at a separate farmland site at Myerscough, near Preston. 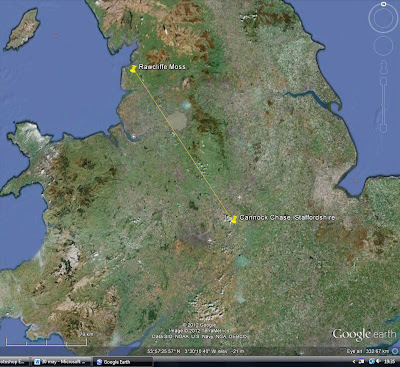 During the warm spell of March 2012 there was a very noticeable but also early seasonal movement of Lesser Redpolls heading north to upland areas. From 29 February to 1 April Will and I handled 100 Lesser Redpolls at Out Rawcliffe, the one hundred birds including one bearing ring number L977497, a second calendar year male caught on 25 March 2012. 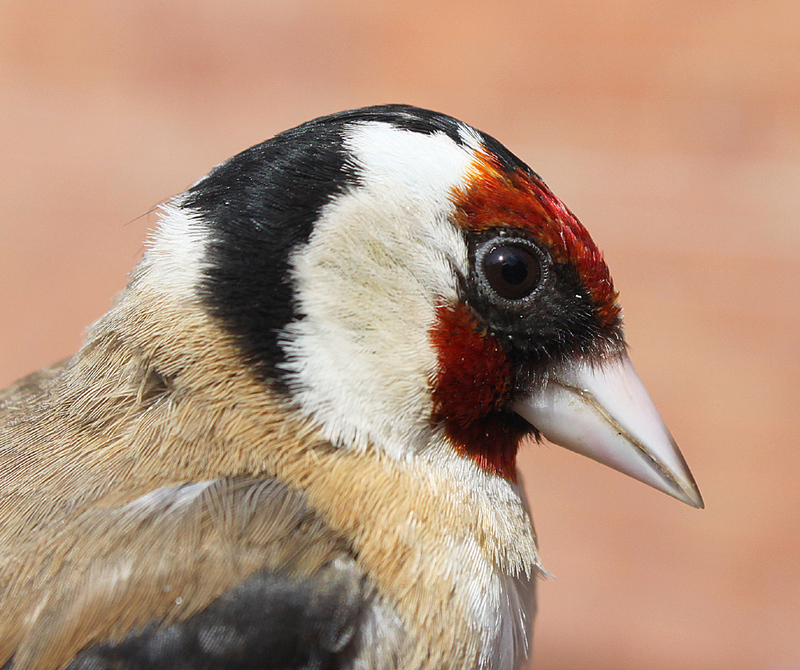 This individual had been ringed during the previous autumn on 6 October 2011 at Cannock Chase, Staffordshire. 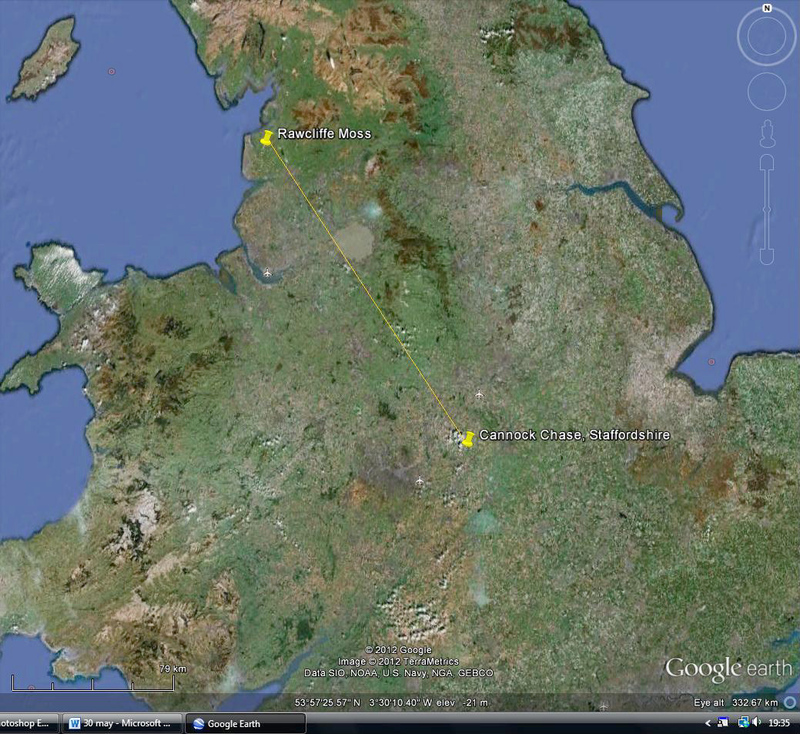 In October and as a first year juvenile, the bird was almost certainly heading a distance further south than Cannock so as to spend the winter near the south coast of England or possibly France/Spain before heading north again in early 2012 when it was intercepted at Out Rawcliffe. Ring number Y279452 a first year female Chaffinch ringed during last autumn’s Chaffinch passage at Out Rawcliffe on 1 October 2011 was found dead at Holme, Cumbria on 3 June 2012. 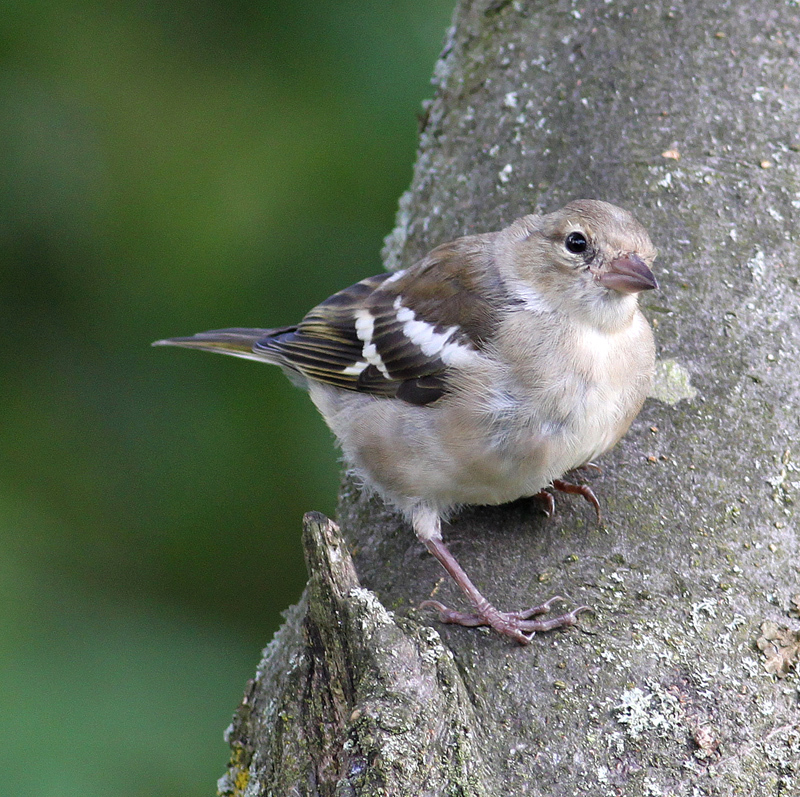 Although this isn’t a large or unexpected movement it ties in with the understanding that many juvenile Chaffinches passing through Lancashire in the autumn are leaving upland areas to disperse south and west. 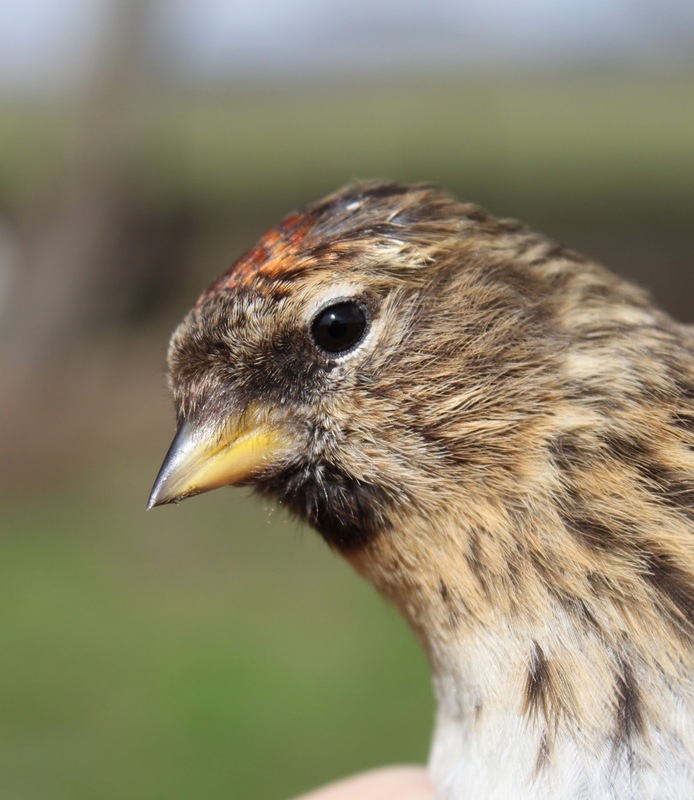 Although there are no further details of how Y279452 died the recovery in the month of June suggests the bird may have returned to its place of origin for the summer. 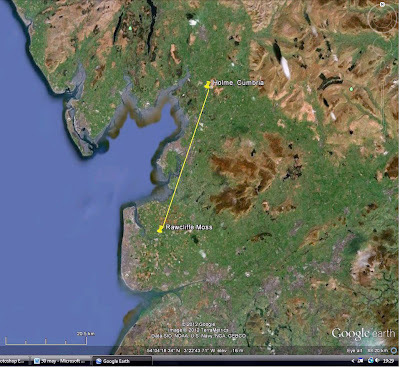 For a more detailed discussion of autumnal Chaffinch movements in this part of Lancashire from the autumns of 2010 and 2011 see here. The Reed Bunting recovery also involves Cumbria. Ring number V971432 a second winter male was caught at our feeding station at Lee Farm, Myerscough on 3 February 2010. 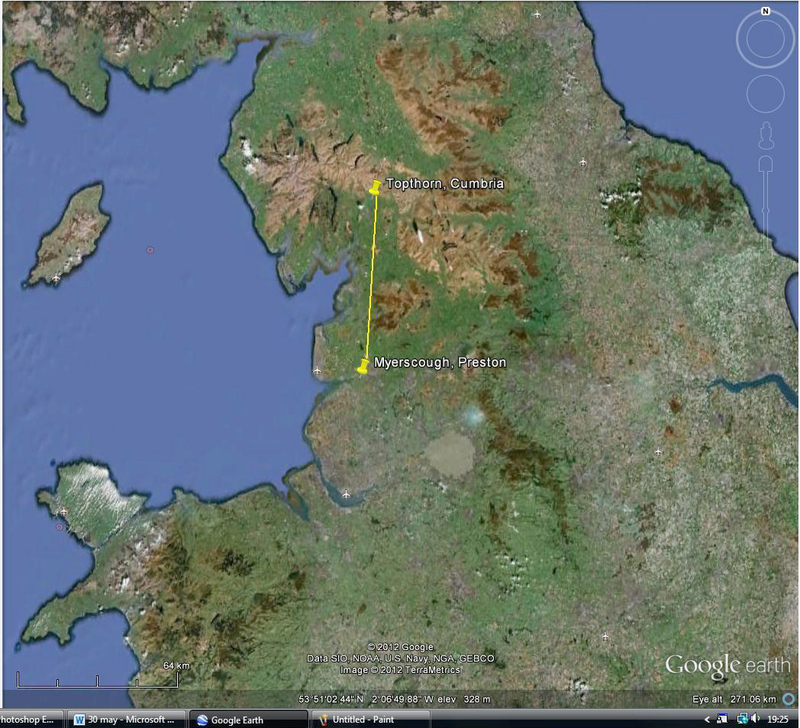 There are no details of its location until 6 March 2012 when as an adult male it was caught by another ringer at Topthorn Barn, Cumbria. This location is 58 kms north of Lee Farm. 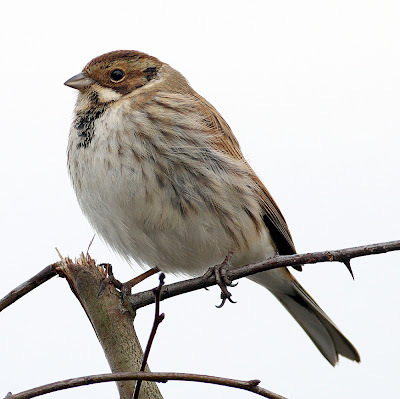 The recovery accords with previous recoveries of Reed Buntings, a species which seems to make fairly local, almost coastal dispersals with north to south/south to north movements in NW England. I caught more adult Goldfinches in the shelter of the garden today, just males, so hopefully there are females persisting with nest sitting duties close by and juvenile birds appearing soon. Que bellas aves y las distancias que son capaces de recorrer.. Me encanta el gilguero. That male goldfinch is gorgeous!! 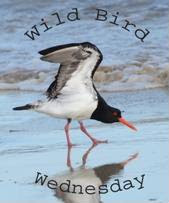 You have a fascinating assortment of birds on your blog. The Male Goldfinch so beautifully photographed! 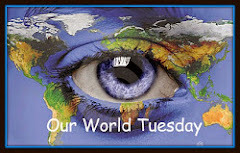 Hi Phil Intresting information All the best.JWB. Very interesting research, Phil. Your portraits are super detailed and wonderful to study as well. Sweet little faces and look at the little Reed Bunting, what a sweet one, love it! Some most fabulous photo shares today!! I love birdin'!! !